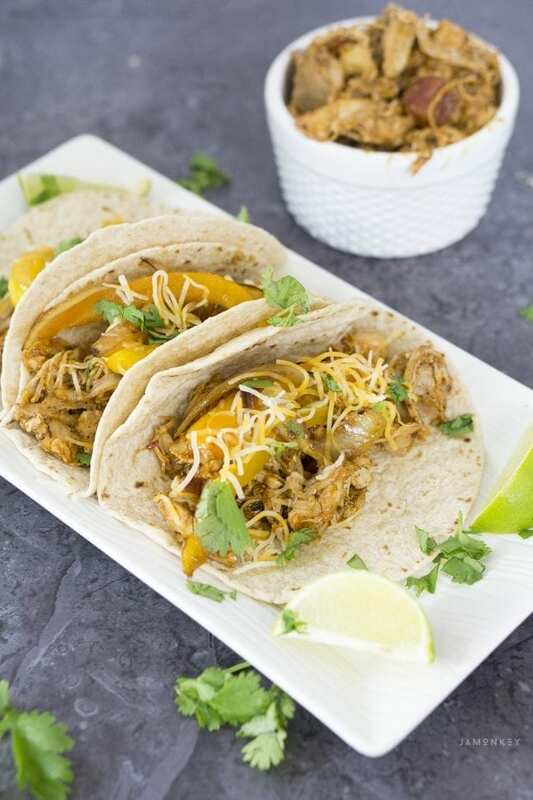 I love an easy dinner I can make in the Instant Pot. It is the best way to make a quick meal on those busy nights. 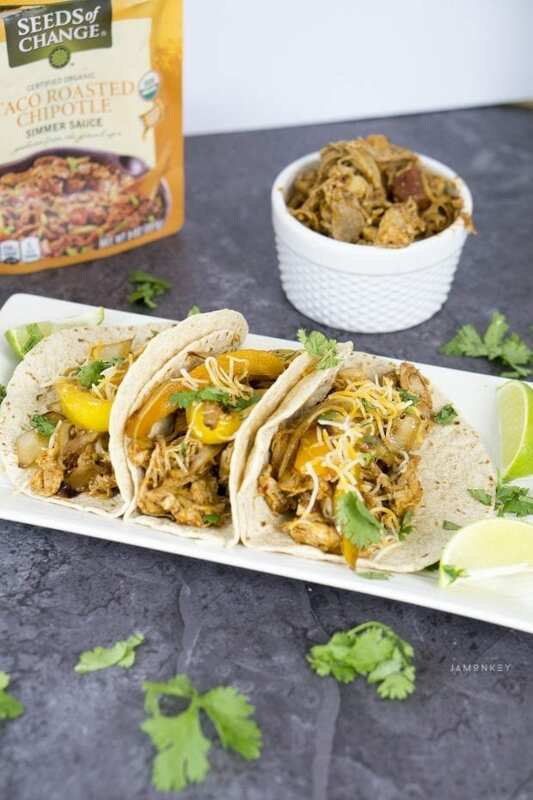 These Instant Pot Chipotle Fajitas are easy to make and so flavorful. Made with the new Seeds of Change® simmer sauces, you can create easy and tasty meals on the fly. Seeds of Change is one of my go to's for a quick side dish. They have rice packets that we are obsessed with. Seeds of Change is an organic seed and food brand. They have some of the best Cherokee Purple heirloom tomatoes. To date, Seeds of Change® has awarded more than $1,000,000 in grants to support gardening and farming programs around the country. Their food is made with the finest Certified Organic ingredients and is free of artificial colors, flavors, and preservatives. They come in handy, easy to pour 8 oz pouches. All you have to do is cook your favorite meat. 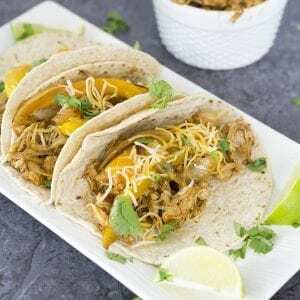 In this recipe, I threw my frozen chicken into the Instant Pot and then shredded it in the Seeds of Change® Organic Sauce and simmered for 10 minutes. 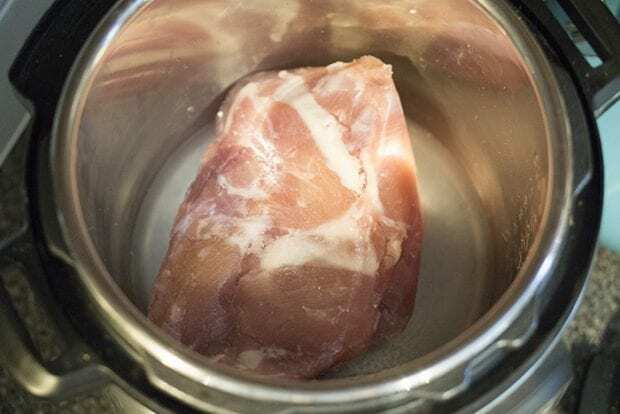 One of my favorite aspects of owning an Instant Pot is that you can put frozen meat into it and still have a great meal when it is done. I'm the queen of forgetting to defrost meat for dinner. 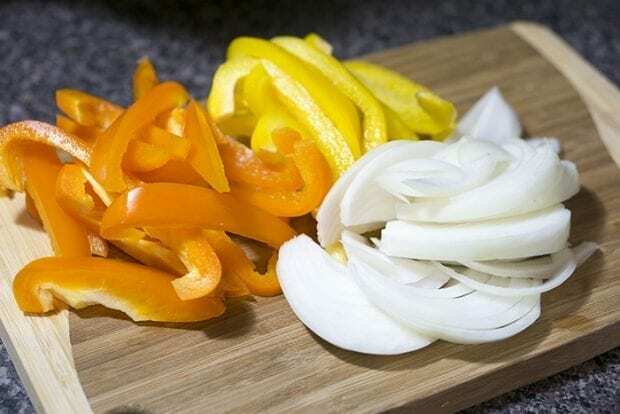 The only prep you will need to do is chop your favorite fajita toppings. For me, that is peppers and onions and some cilantro. I saute the peppers and onions until they are browned and set aside. 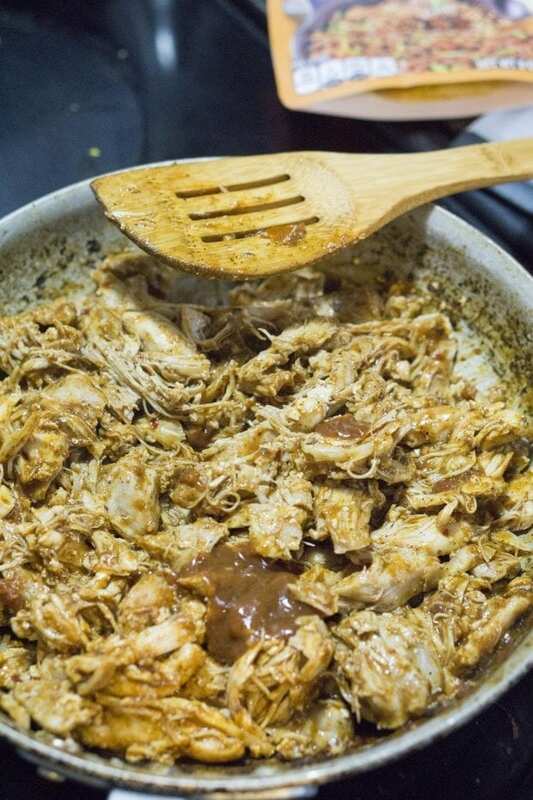 I then shred the chicken and place in the pan with the Seeds of Change Taco Roasted Chipotle simmer sauce. 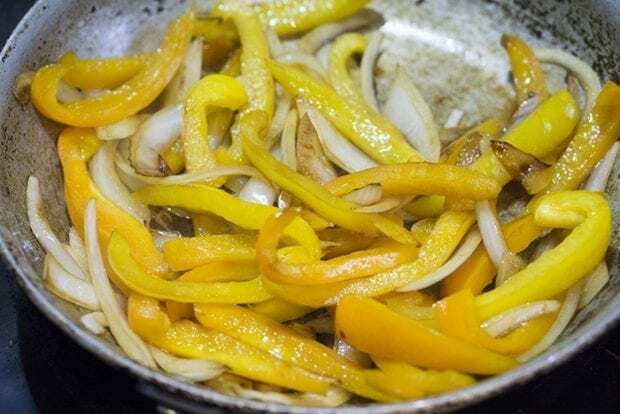 Simmer for 10 minutes and then build those beautiful fajitas. Place chicken into Instant Pot with water. Use the poultry button and set to 15 minutes. Allow a natural release. Heat oil on med-high heat and then saute peppers and onions until browned. Set aside. 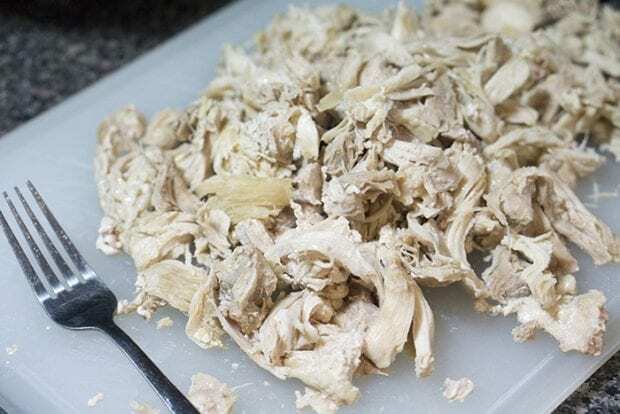 Remove chicken from Instant Pot and shred chicken with a fork. Place in pan with simmer sauce and simmer for 10 minutes. Serve with peppers and onions.